It’s all about the beat. We love programming and diving into an MPC, but if you want the Real Rhythm, that calls for something else entirely: human hands, sticks, DRUMS. 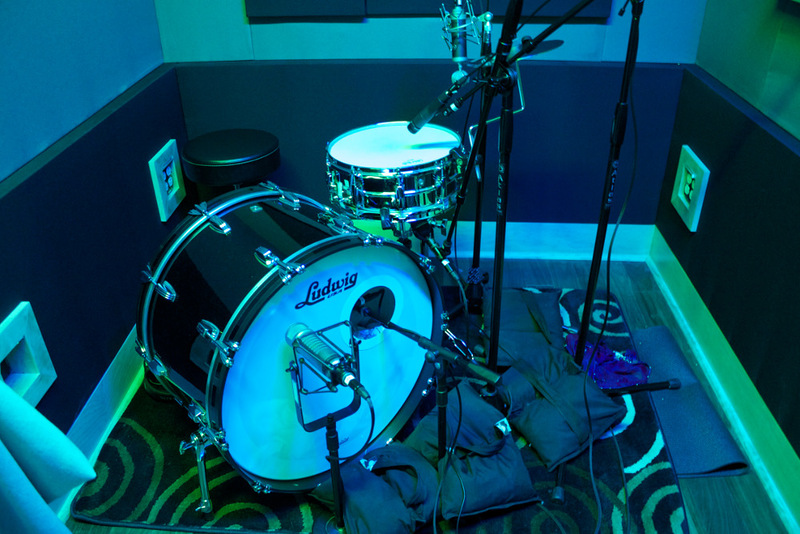 Our live tracking room may be on the intimate side, but as top drummers like Jon Ihle know, we have the space to mic up a full kit and get killer sounds, from rock to funk, pop, jazz and beyond. A few months ago we told you about some of our favorite mics for capturing drums, and now we’ve added another dimension: some new favorite drums to mic. Drummers who drop by can now treat themselves to a Ludwig Supraphonic LM400 snare paired with a Ludwig Classic Maple bass drum. We chose the Supraphonic because it harkens our hearing back to the sound of the 1960’s -- this was the 5x14 snare that James Brown’s drummer Clyde Stubblefield played back in the day. To us it sounds crisp, loud and lush, a perfect combo of musical attributes that makes it versatile for many situations. That 14x24 Classic Maple kick is the perfect complement. It’s got that vintage sound, as well as a big boom that sounds terrific in our room. And now here’s our tracking tip of the day: for an even deeper and fatter sound, wrap a couple of t-shirts with acoustic fabric, then place it inside the kick, but not touching the head. Put that kit together with the room, some choice selections from our mic collection -- and a great drummer of course! -- for a sonic impact that’s as big as you want it to be. Vintage, strong and soulful are all the watchwords for BB4’s rhythmic arrangement. Ready to meet your beat? Visit BB4 to lay down four on the floor!